Happy Sunday! I'm back with a soap review... Too many soap reviews naaa... Next weekend no soap review! Promise! Today i'm reviewing a product which was featured in myFab India & Faces Haul. I'm going to review the Rose Soap. Get the spa like experience daily with the Fabindia Rose Soap. Rose acts as a natural astringent; helps tighten pores and restore suppleness for a glowing complexion. The Fabindia Rose Soap is infused with mild aroma which calm and sooths the mind. It protects the skin from sun damage. The natural oils found in roses help lock moisture into the skin, keeping skin feeling smooth. Rose is especially beneficial for those with sensitive skin because the sugars in its petals create a soothing feeling. Fab India soaps are available in two size variants of 50 & 100 grams, I really like that. The 50 g variant is a travel bar and i find that very convenient for me. 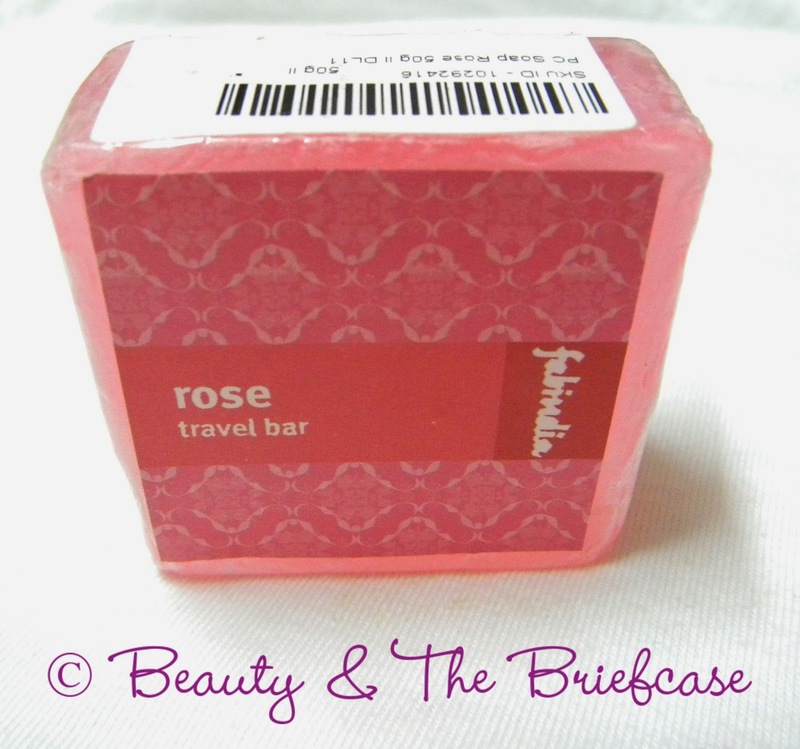 When i'm travelling I hate using the soaps which the hotels provide, at these times a travel bar can be your savior. 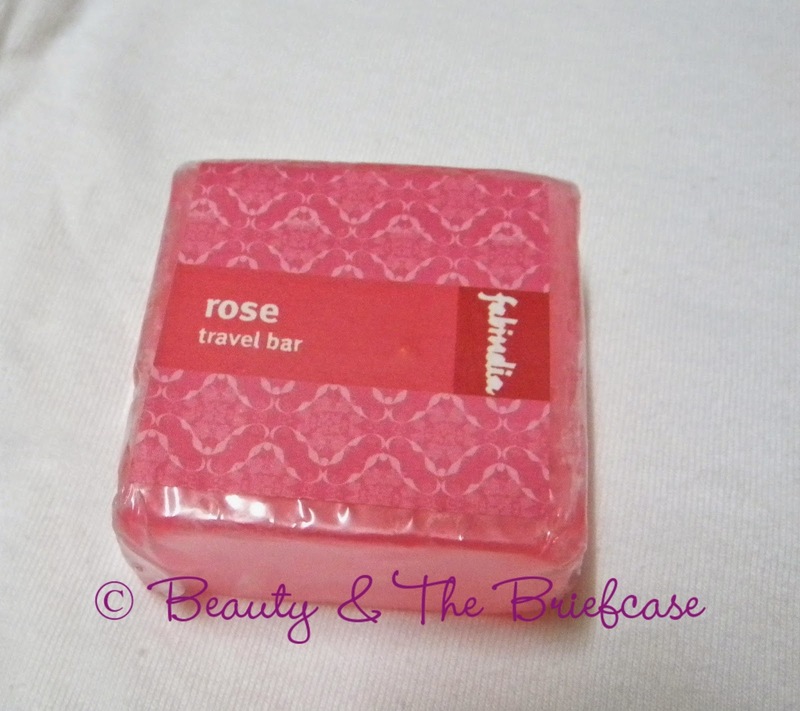 Another reason why i love these travel bars is the fact that i don't like using very big soaps. I always cut my soaps. With this soap i don't need to cut. It fits perfectly in my palm. Now, lets talk all about the soap. 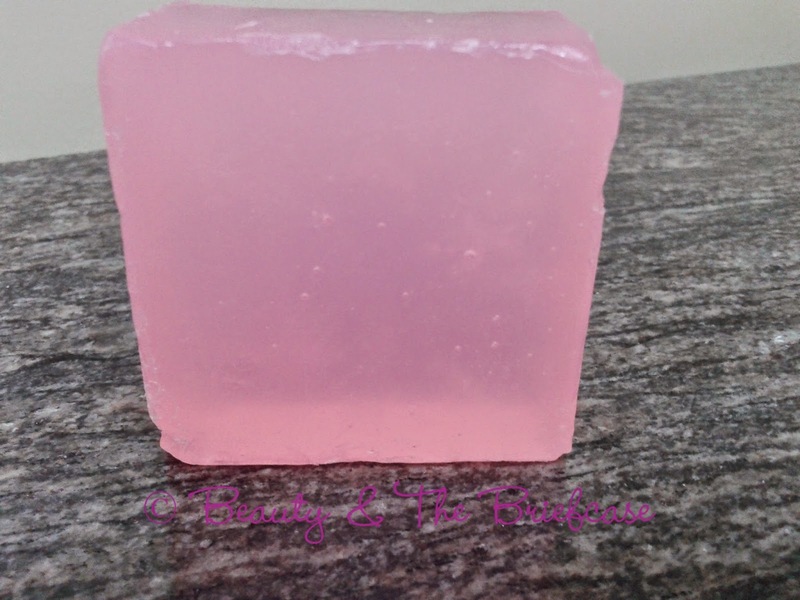 The Fab India soaps come in a very simple packaging.The Rose Soap is light pink in colour. It has a lighter fragrance in comparison to the Neem Tulsi Soap. The soap lathers a lot and cleanses the body really well. The soap doesn't make my skin dry.This soap lasted me for about two weeks and i'm satisfied wit h it. I really liked using this soap. My skin felt good while using this soap and i loved the fragrance. If you like trying out new soaps then do try the Fab India Soaps. They aren't too pricey plus you get the benefit of trying out the travel bar and saving yourself a few bucks. This soap looks good. I never tried anything from fab india. I even want to try their rose water about which I read good reviews. My wish list is increasing day by day..! Never ending wishes hehe..
Fatima you should def try out some stuff from Fab India... The products are really amazing! I love anything with Rose. So am dying to try this one out! :) And this one is priced reasonably.